1. What was the inspiration behind becoming a Creative Director and Book Designer? I love books; I love the combination of words and images. I love making the complex understandable; I love making order out of chaos. I love working with really intelligent people. 2. What do you enjoy most about the creative process? I love solving problems. To me, that’s what Design is, problem-solving. Need a way to communicate your business’ value to its clients and potential clients? A good brand package can help you solve that problem! Want to get your book into the hands of readers? 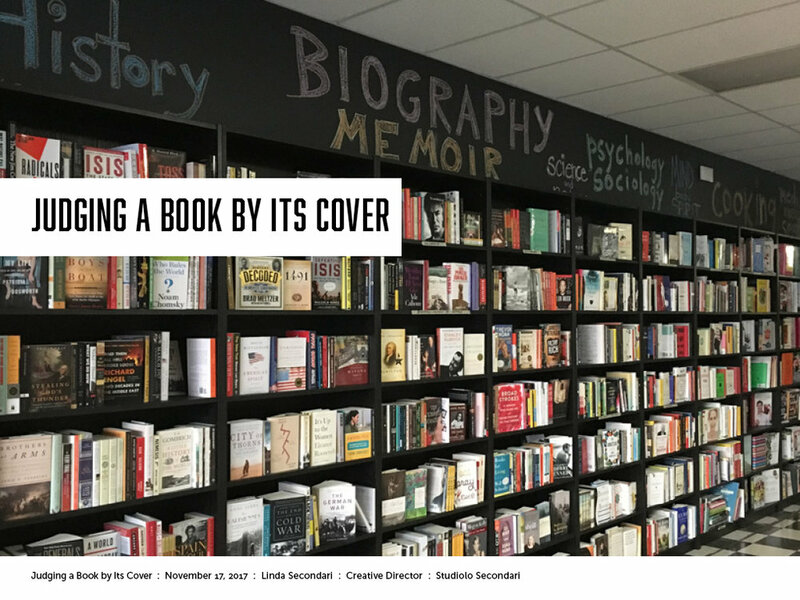 A great book cover can help accomplish that goal! Need to make complex information understandable? A gifted text designer can solve for you! In my career, I have had the full gamut of problem-solving opportunities. I’ve designed book covers and interiors, brands, and ad campaigns. I’ve also designed systems and processes that allow for effective and efficient design development and communication on a large scale. Oxford University Press, where I worked for nearly 10 years, published 3000 titles a year, that’s a lot! 3. Can you take us through your process, and elaborate on how long it is? No matter what the design project, I approach all of them in the same way. Research: I start with research. I research the subject matter if it is a book cover, and I’ll read whatever text the publisher supplies and augment that with other references. Competitive analysis: Then I look at the competition and the ecosystem, where will this design live? Who will it live with? If it is a book, what else will be on the bookshelf? If it is a brand, who is the competition? What is similar? What is aspirational? Identifying things of interest: Through these two stages of the initial investigation, I usually begin to feel a tickle of creativity in the back of my head. I might find an image that is particularly powerful, an artifact that speaks to me. I will begin to list the words that have meaning for this particular challenge. I might begin to create analogies. This product is like X. And then I will investigate the visual language of X. Once I get that tickle I am usually close to putting down sketches, either on paper or in InDesign. Sketching: I love typography so I will begin to load fonts that speak to the vision I have defined through my research. Once I begin laying type down, I feel more focused on my solution. I iterate a lot. I tend to have lots of pages in a document or lots of versions of the document. I print things out so that I can see them and tape them to a wall to look at. Take a break: I also need to take time away from the process. I force myself to get up and out and take a yoga class or walk around the block. Sometimes I need to leave the work for a full day. Once I know I have “fresh eyes” I return to the work, and I often see things that I didn’t see when I was in the thick of it. I repeat the process of working and leaving and working some more until I feel like I have something I can share with the client for feedback. Share and be prepared for feedback: Once I have shared the concepts (I try to never share more than five, and three is typically my magic number), I try always to be open to feedback. I think it is important for designers to understand that what we do is a craft. It is not fine art. We do our creative work in collaboration with our clients, and we need to be able to produce successful outcomes for both our clients and ourselves. Revision: If I can leave my ego behind and listen to feedback, I find it often improves my work. Once I have incorporated feedback, I resubmit my work for approval; sometimes the feedback loop goes on for several iterations (depending on what kind of product I am designing). 4. What is the biggest misconception about your line of work? That design is effortless. A great design should appear effortless. I mean it should look like it just exists, and that there is no other alternative to what has been designed. But to get to that point takes a lot of effort. 5. What is your best piece of advice for fellow creators in your field about copyright and how to protect themselves? First, work for reputable clients. Companies and people that respect the value of your work and their work. Make sure you have solid agreements and contracts. If you provide your own agreements, make sure they are well-considered (the Graphic Artists Guild’s Handbook for Pricing and Ethical Guidelines has a lot of great information in this regard). Sometimes it is worth getting a lawyer to set you up with a good contract that you can reuse.